How to Write 51/64 as a Decimal? 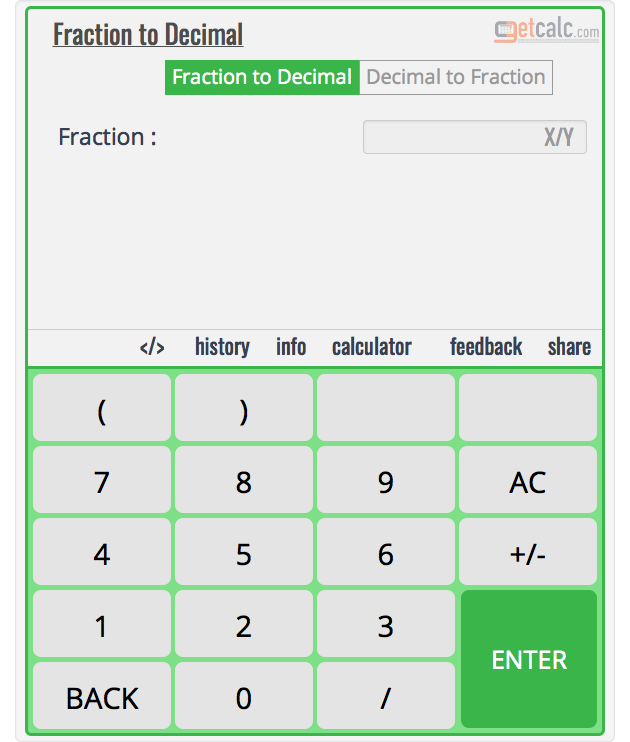 getcalc.com's fraction to decimal calculator to find what's an equivalent decimal for the fractional number 51/64. 0.7969 is a decimal and 79.69/100 or 79.69% is the percentage for 51/64. How to Find Equivalent Decimal for 51/64? The below workout with step by step calculation shows how to find the equivalent decimal for fraction number 51/64 manually. what is 18/5 as a decimal? what is 47/4 as a decimal? what is 7/8 as a decimal? what is 25/4 as a decimal? what is 1/64 as a decimal? what is 1/3 as a decimal?